Лекция памяти В. А. Неговского, прочитанная на VII Научном Конгрессе Европейского Совета по Реаниматологии в Будапеште, сентябрь 2004 г. 1. Safar P. The resuscitation greats. Vladimir Negovsky the father of 'reanimatology'. Resuscitation 2001; 49: 223—229. 2. Negovsky V. A. Resuscitation of the Organism: Agonal States and Clinical Death. Moscow: Unknown, 1943 (book in Russian). Published also in English in Amer. Rev. of Soviet Med. ; 1945, Vol . 2; and 1946, Vol. 3. 3. Negovsky V. A. International Traumatology Conference, Budapest. Traumatology and Orthopedics 1961; 3—4: 259. 4. Negovsky V. A., Gurvitch A. M., Zolotokrylina E. S. Postresuscitation disease. Amsterdam: Elsevier; 1983. 5. Hillman K., Parr M., Flabouris et al. Redefining in hospital resuscitation: the concept of the medical emergency team. Resuscitation 2001; 48: 105—110. 6. Chamberlain D. Never quite there: a tale of resuscitation medicine Resuscitation 2004; 60: 3—11. 7. Negovskii V. In сardiac arrest and resuscitation. Ed. Stephenson 4th ed. Mosby St Louis: Mosby St; 1974. 8. Crowell J. W., Lambright R. L., Scharpe G. P. Changes in coagulatuion time due to acute circulatory failure. Amer. J. Physiol. 1954; 179: 628. 9. Crowell J. W., Smith E. E. Effect of fibrinolytic activation on survival and cerebral damage following periods of circulatory arrest. Am. J. Physiol. 1956; 186: 283—285. 10. Fischer M., Hossmann K. A. No re flow after cardiac arrest. Intensive Care Med 1995; 21: 132—141. 11. Gando S., Kameue T., Nanzaki S., Nakansishi Y. Massive fibrin formation with consecturive impairment of fibtrinolysis in patients with out-of-hospital cardiac arrest. Thromb. Haemost. 1997; 77: 278—282. 12. Tenaglia A. N., Califf R. M., Candela R. J. et al. Thrombotic therapy in patients requiring cardiopulmonary resuscitation. Am. J. Cardiol. 1991; 68: 1015—1019. 13. van Campen L. C. M. C., van Leeuwen G. R., Verheught F. W. A. Safety and efficacy of thrombolysis for acute myocardial infarction in patients with prolonged out of hospital cardiopulmonary resuscitation. Am. J. Cardiol. 1994; 73: 9535. 14. Böttiger B. W., Bode C., Kern S. et al. Efficacy and safery of thrombolytic therapy after initially unsuccessful cardiopulmonary resuscitation: a prospective clinical trial. Lancet. 2001; 357: 1583—1585. 15. Lederer W., Lichtenberger C., Pechlaner C., et al. Recombinant tissue plasminogen activator during cardiopulmonary resuscitation in 108 patients with out of hospital cardiac arrest. Resuscitation 2001; 50: 71—76. 16. Schreiber W., Sterz G. F., Muellner M. et al. Thrombolytic therapy after cardiac arrest and its effect on neurological outcome. Resuscitation. 2002; 52: 63—69. 17. Lederer W., Lichtenerger C., Pechlaner C. et al. Long term survival and neurological outcome of patients who received recombinant tissue plasminogen activator during out of hospital cardiac arrest. Resuscitation. 2004;61:123 129. 18. Spöhr F., Arntz H. R., Bluhmki E. et al. An international multicentre trial protocol to assess the efficacy and safety of tenecteplase during cardiopulmonary resuscitation in patients with out of hospital cardiac arrest: The Thrombolysis in Cardiac Arrest (TROICA) study. Crit. Care Med. 2005; in the press. 19. Negovsky V. A. Postresuscitation disease. Crit. Care Med. 1988; 16: 942—946. 20. Vanicky I., Marsala M., Murar J. et al. Prolonged postischemic hyperventilation reduces acute neuronal damage after 15 min of cardiac arrest in the dog. Neurosci. Lett. 1992; 135: 167—170. 21. Oertel M., Kelly D. F., Lee J. H. et al. Efficacy of hyperventilation, blood pressure elevation, and metabolic suppression therapy in controlling intracranial pressure after head injury. J. Neurosurg. 2002; 97: 1045—1053. 22. Muizelaar J. P., Marmarou A., Ward J. D. et al. Adverse effects of prolonged hyperventilation in patients with severe head injury; a randomized clinical trial. J. Neurosurg. 1991; 75: 731—739. 23. Buunk G., van der Hoeven J. G., Meinders A. E. Cerebrovascular reactivity in comatose patients resuscitated from a cardiac arrest. Stroke 1997; 28: 1569—1573. 24. Pitts S., Kellermann A. L. Hyperventilation during cardiac arrest. Lancet 2004; 364: 313—316. 25. Aufderheide T. P., Sigurdsson G., Pirrallo R. G. et al. Hyperventilation-induced hypotension during cardiopulmonary resuscitation. Circulation 2004; 109: 1960—1965. 26. Negovsky V. A. Fifty years of the institute of general reanimatology of the USSR Academy of Medical Sciences. Crit. Care Med 1988; 16: 287—291. 27. 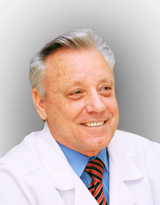 Gurvich N. I., Makarchev V. E. Defibrillation of the heart with biphasic electrical impulses. Kardiologya 1967; 7: 109—112. 28. Winkle R. A., Mead R. H., Ruder M. A. et al. Improved low energy defibrillation efficacy in man with the use of a biphasic truncated exponential waveform. Am. Heart. J. 1989; 117: 122—127. 29. Moosvi A. R., Goldstein S., VanderBrug Medendorp S. et al. Effect of empiric antiarrhythmic therapy in resuscitated out of hospital cardiac arrest victims with coronary artery disease. Am. J. Cardiol. 1990; 65: 1192—1197. 30. The CASCADE Investigators. Randomized antiarrhythmic drug therapy in survivors of cardiac arrest (the CASCADE study). Am. J. Cardiol. 1993; 72: 280—287. 31. Pepper C. B., Batin P. P. D., Bannister J. et al. Antiarrhythmic management and implantable defibrillator use in survivors of prehospital cardiac arrest without myocardial infarction in West Yorkshire. Heart 2000; 83: 312—315. 32. Skrifvars M. B., Pettilä V., Rosenberg P. H. et al. A multiple logistic regression analysis of in hospital factors related to survival at six months in patients resuscitated from out of hospital ventricular fibrillation. Resuscitation 2003; 59: 319—328. 33. Rouleau J. L., Roecker E. B., Tendera M. et al. Influence of retreatment systolic blood pressure on the effect of carvedilol in patients with severe chronic heart failure. The carvedilol prospective randomized cumulative survival (COPERNICUS) study. JACC 2004; 43: 1423—1429. 34. Roberts I., Yates D., Sandercock P. et al Effect of intravenous corticosteroids on death within 14 days in 10008 adults with clinically significant head injury (MRC CRASH trial): randomised placebo-controlled trial. Lancet 2004; 364: 1321—1328. 35. Vasquez A., Kern K. B., Hilwig R. W. et al. Optimal dosing of dobutamine for treating post resuscitation left ventricular dysfunction. Resuscitation 2004; 61: 199—207. 36. Negovsky V. A. Resuscitation and artificial hypothermia (USSR). N. Y.: Consultants Bureau, 1962 (in English). 37. Rosomhoff H. L., Holaday D. A. Cerebral blood flow and cerebral oxygen consumption during hypothermia. Amer. J. Physiol. 1954; 179: 85. 38. Takino M., Okada Y. Hyperthermia following cardiopulmonary resuscitation. Intensive Care Med. 1991; 17: 419—420. 39. Benson D. W., Williams G. R., Spencer F. C., Yates A. J. The use of hypothermia after cardiac arrest. Anesth. Analg. 1958; 38: 423—428. 40. Williams G. R., Spencer F. C. The clinical use of hypothermia following cardiac arrest. Ann. Surg. 1959; 148: 462—466. 41. Smith R. M., Stetson J. B. Therapeutic hypothermia. N. Engl. J. Med. 1961; 265: 1097—1103, 1147—1151. 42. Bernard S. A., Gray T. W., Buist M. D. et al. Treatment of comatose survivors of out of hospital cardiac arrest with induced hypothermia. New Engl. J. Med. 2002; 346: 557—563. 43. The Hypothermia after Cardiac Arrest Study Group. Mild hypothermia to improve the neurologic outcome after cardiac arrest. New Engl. J. Med. 2002; 346: 549—556. 44. Nolan J. P., Morley P. T., Vanden Hoek et al. Therapeutic hypothermia after cardiac arrest. An advisory statement by the advanced life support task force of the international liaison committee on resuscitation. Resuscitation 2003; 57: 231—235. 45. Wolberg A. S., Meng Z. H., Monroe D. M. et al. A systemic evaluation of the effect of temperature on coagulation enzyme activity and platelet function. J. Trauma 2004; 56: 1221—1228. 46. Brain resuscitation trial 1 study group. Randomized clinical study of thiopental loading in comatose survivors of cardiac arrest. New Engl. J. Med. 1986; 314: 397—403. 47. Jastremski M., Sutton;Tyrell K., Vaagenes P. et al. Glucocorticoid treatment does not improve neurological recovery following cardiac arrest. JAMA 1989; 262: 3427—3430. 48. Roine R. O., Kaste M., Kinnunen A. et al. Nimodipine after resuscitation from out of hospital ventricular fibrillation. A placebo controlled, double blind, randomized trial. JAMA 1990; 264: 3171—3177. 49. Brain resuscitation trial 2 group. A randomized clinical study of a calcium entry blocker (lidoflazine) in the treatment of comatose survivors of cardiac arrest. N. Engl. J. Med. 1991; 324: 1225—1231. 50. Negovsky V. A, Zaks I. O. Endogenous intoxication on the pathogenesis of postresuscitation disease. Anaesthesiol. Reanim. 1982; 3: 27. 51. Weisfeldt M. L, Becker L. B. Resuscitation after cardiac arrest. JAMA 2002; 288: 3035—3038. 52. Longstreth W. T., Inui T. S. High blood glucose level on hospital admission and poor neurological recovery after cardiac arrest. Ann. Neurol. 1984; 15: 59—63. 53. Calle P. A., Buylaert W. A., Vanhaute O. A. et al. Glycemia in the post-resuscitation period. Resuscitation 1984;17 (Suppl 1): S181—188. 54. Mullner M., Sterz F., Binder M. et al. Blood glucose concentration after cardiopulmonary resuscitation influences functional neurological recovery in human cardiac arrest survivors. J. Cereb. Blood Flow Metab. 1997; 17: 430—436. 55. Wahab N. N., Cowden E. A., Pearce N. J. et al. Is blood glucose an independent predictor of mortality in acute myocardial infarction in the thrombolytic era? J. Am. Coll. Cardiol. 2002; 40: 1748—1754. 56. Williams L. S., Rotich J., Qi R., Fineberg N. et al. Effects of admission hyperglycemia on mortality and costs in acute ischemic stroke. Neurology; 2002: 59: 67—71. 57. Langelle A., Tyvold S. S., Lexow K. et al. In hospital factors associated with improved outcome after out of hospital cardiac arrest. A comparison between four regions in Norway. Resuscitation 2003; 56: 247—263. 59. Cobb L. A., Baum R. S., Alvarez H. et al. Resuscitation from out-of-hospital ventricular fibrillation; 4 hears follow up. Circulation 1975; 52 (Suppl 3): 223—228. 60. Spaulding C. M., Joly L. M., Rosenberg A. et al. Immediate coronary angiography in survivors of out of hospital cardiac arrest. N Engl J Med 1997; 336: 1629—1633. 61. Weston C. F. M., Avery P. G., Stephens M. R. Mangement of hospital survivors of pre hospital ventricular fibrillation. J. Roy Coll. Phys. 1993; 27: 242—246. 62. Engdahl J., Abrahamsson P., Bång A. et al. Is hospital care of major importance for outcome after out of hospital cardiac arrest? Experience acquired from patients with out of hospital cardiac arrest resuscitated by the same Emergency Medical Service and admitted to one of two hospitals over a 16 year period in the municipality of Göteborg. Resuscitation 2000: 43: 201—211. 63. Mond H. G., Irwin M., Morillo C., Ector H. The world survey of cardiac pacing and cardioverter defibrillators: calendar year 2001. Pace 2004; 27: 955—964. 64. Brooks R., McGovern B. A., Garan H, Ruskin J. N. Current treatment of patients surviving out of hospital cardiac arrest. JAMA 1991; 265: 762—768. 65. Negovsky V. A. Essays on reanimatology. Moscow; Meditsina; 1986: 253. 66. Negovsky V. Crit. Care Med. 1988; 16: 290. 67. Baker P., Glasser S. B. Russia school siege ends in carnage hundreds die as troops battle hostage takers. Washington Post 4 September 2004.